Welcome to the 4th Annual SoCal VegFest, a one-of-a-kind event designed to engage curiosity and inspire consciousness in people of all ages. This event-not-to-miss will include free plant-based food samplings, musical entertainment, guest speakers, cooking demonstrations, raffles, interactive booths, food vendors, humane organizations, an enjoyable children’s area with a variety of engaging opportunities especially for kids, and more. The purpose of SoCal VegFest is to introduce Southern Californians and others to the benefits of healthy conscious living. Our goal is to inspire and support anyone who wants to learn more about living a more healthy, environmentally friendly, and compassionate life. The SoCal VegFest is run by dedicated volunteers as a project of Animal Protection and Rescue League (APRL), a 501(c)(3) Nonprofit Organization. This year’s Socal Vegfest is being held in the OC Fair and Events Center. Click the button below for directions. 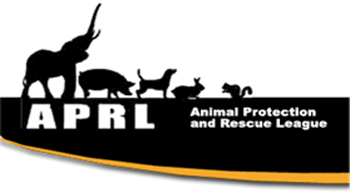 APRL, Animal Protection & Rescue League’s Orange County chapter, is devoted to ending animal cruelty and suffering through education, outreach, direct action and personal change. We encourage people and organizations to rethink the use of animals for food, clothing and entertainment. We advocate a plant-based diet, and our potlucks and other dining events feature vegan menus. APRL is a grassroots 501(c)(3) nonprofit organization. The OC chapter is staffed entirely by volunteers.